Enjoy the view of mysterious Untersberg and its natural fascination. You will feel comfortable in our lovingly designed rooms. Recharge your batteries at an extensive walk through the wonderful natural landscape of the mountain. SIMMERL PENSION BERGBLICK has a great view of the mystical Untersberg. 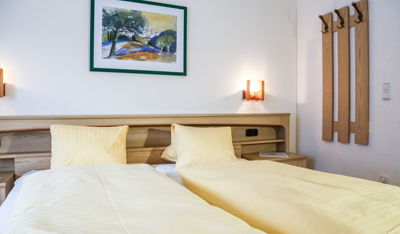 The rooms are furnished rustic with “Voglauer” furniture and all have a balcony with shower, bathroom, hairdryer, cable TV and Wifi are available. 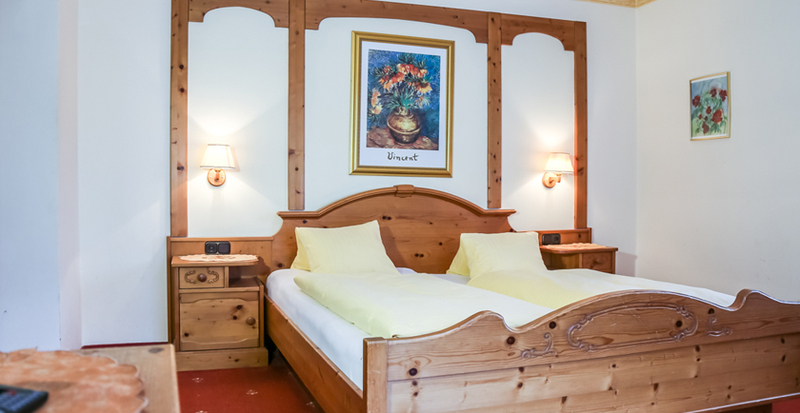 The room is rustic furnished with balcony with partial magnificent panoramic view of the Untersberg, bathroom with shower and hairdryer, cable TV and Internet Wifi. 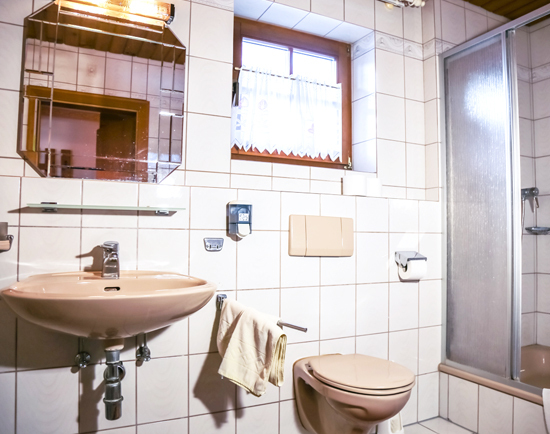 The room is rustic furnished with balcony with partial magnificent panoramic view of the Untersberg, bathroom with shower and hairdryer, cable TV and Wifi. The room is rustic with “Voglauer” furniture. It has a bathroom with shower, hairdryer, cable TV and Wifi. Enjoy the magnificent view of the Untersberg. The rooms in the guesthouse have been renovated a few years ago and some have a balcony towards the mountain “Untersberg”. 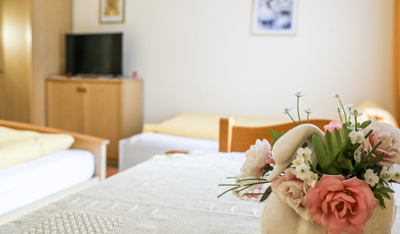 Shower, bathroom, hairdryer, cable TV and Wifi are available in all rooms.